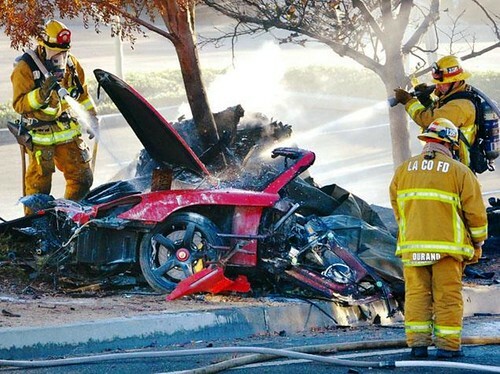 The actor Paul Walker died in a car crash. He’s far from alone in the US, which is now an outlier in road deaths. Photo by dfirecop on Flickr. A selection of 10 links for you. Try that for size. I’m @charlesarthur on Twitter. Observations and links welcome. Long, rocket-shaped, from outside the solar system, high metal content? Best left alone, I think. I’m no artist, and I’m not much of a tablet user. While I love the hybrid form factor, I love it for the same reason that I love the 360-degree hinge; I like to make the system an inverted V for watching movies and similar activities when flying, and I like to wrap the screen around all the way (to turn the thing into a chunky tablet) for watching movies in bed. As such, I don’t have any particularly strong feelings about this 15-inch tablet. It’s an engineering marvel, without a doubt. But is it useful? For me, no. I would flip the screen around, but I can’t imagine ever using it detached from the base. When introducing the Surface Book 2, Microsoft spoke extensively about the appeal the flexible machine had for creative, artistic users, and, in particular, users for whom the pen is not merely an optional extra but a core part of the value proposition. For them, the 15-inch tablet represents a member of a continuum; it’s one of a family of tablets: 12.3 inches in the Surface Pro, 13.5 and 15 inches in the Surface Book 2, and 28 inches for the Surface Studio. Those all support the same pens, and they all support Microsoft’s Surface Dial accessory. If you want that larger workspace that the 15-inch tablet offers, then the Surface Book 2 is likely to appeal. Otherwise, the Surface Book 2 is really very similar to its predecessor. That’s good in lots of ways but disappointing in others. Microsoft has undoubtedly built a better Surface Book. What it hasn’t done, I think, is look at the rest of the market to ensure that it has built a better laptop. It has previously been reported that the Galaxy S9 facial recognition will be improved with a 3D sensor-equipped front camera. According to a new report, Samsung has already placed significant orders for 3D components that will power the improved facial recognition system. The new system is expected to be more accurate, fast and safer than the one on the Galaxy S8. A report out of South Korea suggests that even though Samsung will opt for 3D hardware, it’s going to stick with 2D software for facial recognition. Perhaps Samsung wants to keep iris recognition onboard as it’s believed to be even safer. The 3D sensor-equipped front camera might be useful for augmented and virtual reality experiences. It may also be used to power innovative new features like animated emojis. So it wants to copy animoji, but not FaceID? That seems unambitious. In this murky scene, the government does not only lose revenue, but buyers can also be duped when the same property is sold to multiple entities. What exacerbates it is rampant corruption. The Indian government introduced a new law and have seized benami properties worth US$282 million since November last year. We have already given up a lot of our black boxes. We will lead this transformation. Sprawled across 160,000 sq km on the east coast with a population of over 50 million, the state of Andhra Pradesh wants to use blockchain technology to tackle the problem. Blockchain’s immutability can make land records tamper-proof. Its visibility to multiple entities also makes the system transparent. The state is running a pilot by Swedish startup ChromaWay to put land records on a blockchain in fintech hub Vizag. Neat idea. Finally a real-world use for blockchain. Land registry is an important topic in developing countries. This week, millions of Americans will climb into their cars to visit family. Unfortunately, they will have to travel on the most dangerous roads in the industrialized world. It didn’t used to be this way. A generation ago, driving in the United States was relatively safe. Fatality rates here in 1990 were roughly 10% lower than in Canada and Australia, two other affluent nations with a lot of open road. Over the last few decades, however, other countries have embarked on evidence-based campaigns to reduce vehicle crashes. The United States has not. The fatality rate has still fallen here, thanks partly to safer vehicles, but it’s fallen far less than anywhere else. As a result, this country has turned into a disturbing outlier. Our vehicle fatality rate is about 40% higher than Canada’s or Australia’s. The comparison with Slovenia is embarrassing. In 1990, its death rate was more than five times as high as ours. Today, the Slovenians have safer roads. The main cause? Excessive speed and failure to use seatbelts (one in seven Americans doesn’t). Globally, Transsion is number four in terms of units sold after Samsung, Apple and China’s Huawei, according to IDC, though low prices mean it is only the 13th largest phone manufacturer by sales value. Since launching in 2016, Itel phones have also captured an 8% share of India’s handset market, making it the third largest brand, according to Counterpoint Research, a consultancy. This success has been thanks to cheap prices and good distribution, said Tarun Pathak, an analyst at Counterpoint Research. Transsion took an unusual route of ignoring the Chinese market to build its sales in sub-Saharan Africa, adapting low-cost phones to local tastes. For instance, its handsets feature multiple sim-card slots, camera software adapted to better-capture darker skin tones, and speakers with enhanced bass. Sales in Africa could top 100m units this year, helping the company generate more than Rmb20bn ($3bn) in revenue, said founder and chief executive Zhu Zhaojiang. “I don’t target the highest-income consumers who would buy Apple or Samsung,” he added. The company will export 120m handsets this year, according to Mr Zhu — making it China’s largest phone exporter by volume, though margins are lower than rivals due to the lower-cost of Transsion phones, which can sell for as little as $10. Nokia gave up too soon. Greenify developer Oasis Feng… took to Google+ to share that he received a 30-day notice from Google about the potential “misuse” of accessibility services in Greenify. In the post, Feng acknowledged that there are negatives to the use of accessibility services, such as performance lag and becoming a target of malware. On the flip side, Feng equates accessibility services to Android’s version of Pandora’s box, since they let you set up automation of certain tasks, trigger global actions, and overlay your screen. As we’ve seen with apps like LastPass, which has also been targeted by Google’s changes, accessibility services also allow for functions like autofill passwords, so Feng’s metaphor is not far from the truth. It seems a bit weird to tell Google what it can and can’t allow in the Play Store based on how something uses the Android API. That’s really Google’s choice. There are other app stores, and also sideloading. LastPass, meanwhile, seems to have received a golden ticket. Well there’s something to look forward to. Anyone read The Age of Miracles? Splendid book in which the slowing of the Earth’s rotation is just the beginning. many China firms were rushing to join the retail market for simple VR headsets and boxes after Google Cardboard was launched in 2014. As of January 2016, there were as many as 350 China-based brand vendors engaged in retail sales of such products, particularly VR boxes. Although China now still commands nearly 50% of the global market supply of VR boxes, the sources continued, the number of China’s brand vendors of budget-priced VR boxes and headsets has sharply shrunk to 190 now for failing to survive the changing market scenarios, in that all-in-one VR devices boast a growing variety of functions and ever-improving performance while the prices of high-end VR products have also been on the decline. The withdrawal of those players without core competitiveness from the VR market will make the VR industry get on a healthy development track, as it will help to balance the market supply and demand to enhance market stability, industry insiders said, adding that the VR industry is marching toward a stable growth stage with continuous declines in VR headset prices, increasing VR experiences by consumers and the availability of more VR titles. On another front, China’s brand vendors of lower-end smartphones are also plagued by the same woes facing those of budget-priced VR devices. As cost/performance ratio and brand image are key consumer concerns in buying smartphones, and first-tier vendors as Huawei, Oppo, Vivo and Xiaomi Technology boast strong cost competitiveness for volume production, the market leeway left for vendors of entry-level models has suffered a drastic shrinkage. Statistics showed that the number of online smartphone brand vendors has decreased to around 120 for the moment from over 200 seen in September 2016, according to industry sources. The exit of smaller players will inevitably lead to higher prices: although the bigger companies will get economies of scale, the chunk of the market that was essentially venture- or bank-funded (and hence happy to work at negative margin) will vanish. ??? Samsung and Android for have had Face Unlock since 2015. That’s a coarser method based on a 2D picture, but still… Samsung also added Iris scanning a while back. Face Unlock isn’t an authentication system; more of a recognition system. Can’t be used for Android Pay or Samsung Pay as I recall. The iris recognition is slow, by reports I e seen, compared to FaceID. Apple wasn’t first with fingerprint recognition on a phone, but did it better. Seems much the same applying on face authentication.